Despite the relevance of physics to many science and technological based careers, students’ attainment in the subject has been of concern in many countries including Nigeria. The study examined physics attainment among secondary school pupils and found that physics attainment is low in Nigeria and that teacher quality and resource availability and utilization are some factors that affect student attainment. To enhance students’ physics attainment, the study recommended that the content and curriculum of ITE programs be enhanced for the training and development of agency amongst teachers and the need for teachers to update their subject knowledge through regular participation in continuing professional development activities. American Physical Society (2010). National Task Force on Teacher Education in Physics: Report Synopsis. Retrieved online on 03/02/2016 at www.aps.org. Angell, C., Guttersrud, O., Henriksen, E.K. & Isnes, A. (2004). Physics: Frightful, But Fun Pupils’ and Teachers’ Views of Physics and Physics Teaching. Science education, 88(5), 683-706. Anzene, S.J. (2014). Trends in examination malpractice in Nigerian educational system and its effects on the socio-economic and political development of Nigeria. Asian Journal of Humanities and Social Sciences, 2(3), 1-8. Author1 & Omeodu, D. (2016). Effects of gender and collaborative learning approach on students’ conceptual understanding of electromagnetic induction. Journal of Curriculum and Teaching, 5(1), 78-86. Bao, L., Cai, T., Koenig, K., Fang, K., Han, J., Wang, J. … Wu, N. (2009). Learning and Scientific Reasoning. Science, 323,586-587. Briggs, D. C. (2009). "Preparation for College Admission Exams. 2009 NACAC Discussion Paper." National Association for College Admission Counseling, USA. Retrieved on line on 04/02/2016 at www.nber.org. Buabeng, I., Ossei-Anito, T. A. & Ampiah, J. G. (2014). An Investigation into Physics Teaching in Senior High Schools. World Journal of Education, 4(5), 40 – 50. Christian, M. (2014). Learning Strategies, Age, Gender and School-location as Predictors of Students’ Achievement in Chemistry in Rivers State, Nigeria. Research on Humanities and Social Sciences, 4(21), 121-127. Dorans, N. (2008). The practice of comparing scores on different test. ETS Report No. 6. Retrieved from http://www.ets.org on 04/02/2016. Federal Ministry of Education, FME (2009). National physics curriculum for senior secondary schools: Abuja: Nigerian Educational Research and Development Council. Freedman, R. A. (1996). Challenges in Teaching and Learning Introductory Physics. In B. Cabrera, H. Gutfreund & V. Kresin, (Eds. ), From High Temperature Superconductivity to Microminiature ( 313-322). New York: Plenum Press. Gaigher, E., Rogan, J.M. & Braun, M.W.H. (2006). The effect of a structured problem solving strategy on performance in physics in disadvantaged South African schools. African Journal of Research in SMT Education, 10(2), 15 – 26. Greaney, V. & Kellaghan, T. (2008). Assessing National Achievement Levels in Education. Washington,DC: The World Bank. Volume 1. Hardman, F., Abd-Kadir, J. & Smith, F. (2008). Pedagogical renewal: Improving the quality of classroom interaction in Nigerian primary schools. International Journal of Educational Development, 28(1), 55-69. Hedges, L. V., Laine, R. D., & Greenwald, R. (1994a). Does money matter? A meta-analysis of studies of the effects of differential school inputs on student outcomes. Educational Researcher, 23(3), 5-14. Hedges, L. V., Laine, R. D., & Greenwald, R. (1994b). Money does matter somewhere: A reply to Hanushek. Educational Researcher, 23(4), 9-10. Howe, A.C. & Berenson, S.B. (2003). High achieving girls in mathematics. What’s wrong with working hard? Paper presented at the 27th International Conference of the International Group for the Psychology of Mathematics Education, PME 27, Honolulu, HI. Krueger, A. B. (2003). Economic considerations and class size. The Economic Journal, 113(485), F34-F63. Mehmood, T. & Rehman, Z. (2011). Effective use of teaching methodologies at secondary level in Pakistan. Journal of American Science, 7(2), 313-320. Murphy, P. & Whitelegg, E. (2006). Girls in the Physics Classroom: A review of the research on the participation of girls in physics. Institute of Physics Report. Retrieved online on 16/05/2016 at http://www.iop.org. Obomanu, B.J. & Adaramola, M.O. (2011). Factors Related to Under Achievement in Science, Technology and Mathematics Education (STME) in Secondary Schools in Rivers State, Nigeria. World Journal of Education, 1(1), 102-109. Ofqual (2015). Comparability of Different GCSE and A Level Subjects in England:An Introduction: ISC Working Paper 1. Coventry, The office of Qualifications and Examinations Regulation. Ogunmade, T. O. (2005). The status and quality of secondary science teaching and learning in Lagos State, Nigeria. Unpublished PhD thesis, Edith Cowan University, Australia. Retrieved from http://ro.ecu.edu.au/theses/86. Osborne, J., Driver, R., & Simon, S. (1998). Attitudes to science: issues and concerns. School Science Review, 79 (288), 27–33. Patrick, A. O. (2009). Evaluation of teaching in secondary schools in Delta State 2 – teaching of the sciences. 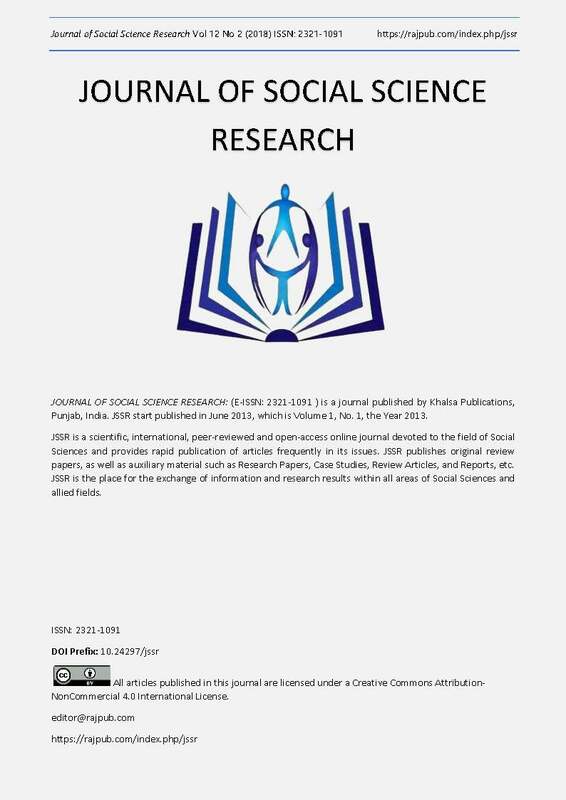 International Journal of Educational Sciences, 1(2), 119-129. Republic of South Africa (2013). 2013 National Senior Certificate Examination Technical Report. Pretoria: Department of Basic Education. Simpson, M., & Tuson, J. (2003). Using observation in small-scale research: A beginner’s guide. Glasgow: SCRE Centre, University of Glasgow. Sparkes, R. A. (1995). No problem here! The supply of physics teachers in Scotland. The Curriculum Journal, 6, 101 - 113. Tambawal, M. U. (2013). Examination malpractices, causes, effects and solutions. A paper presented at the stake holders forum on raising integrity in the conduct of examinations in the Nigerian educational system. February, 7. Vorsino, W. S. (1992). Improving the effectiveness of science laboratory instruction for elementary students through the use of a process approach for change. Ed. D. Practicum, Nova University. (EDRS No. ED 357976). WAEC (2009). Registrar’s annual report to council for the period April 1, 2008 to march 31, 2009. Retrieved online on 17/08/2015 at www.waecheadquartersgh.org. Williams, C., Stanisstreet, M., Spall, K., Boyes, E.& Dickson, D. (2003). Why aren’t secondary students interested in physics? Physics Education, 38(4), 324 – 329. Woolnough, B. (1994). Effective science teaching. Buckingham: Open University Press.